Ikea is pushing into the wireless smart speaker space, and is partnering with Sonos on a new multi-room audio line dubbed Symfonisk. But no, they won't come flat-packed and require assembly. What Ikea's Symfonisk smart speakers will do is play nicely with Sonos kit, so that existing Sonos customers can easily expand their home system with the Ikea products; and also integrate into Ikea's growing Home Smart line including LED lights, power outlets and, from later this year, smart window shades. They'll also support voice assistants from Google and Amazon. While Ikea gain serious cred through the Sonos brand and halo, the Swedish home lifestyle colossus is keen to bring its own design skills to the fore. This could include building modular Symfonisk speakers into selected furniture pieces such as bookshelves and making them look, well, less like speakers. "Our goal is for our collective work to save space, get rid of cords, make clutter invisible, and bring sound and music into the home in a more beautiful way," says Björn Block, business leader for Ikea Home Smart. 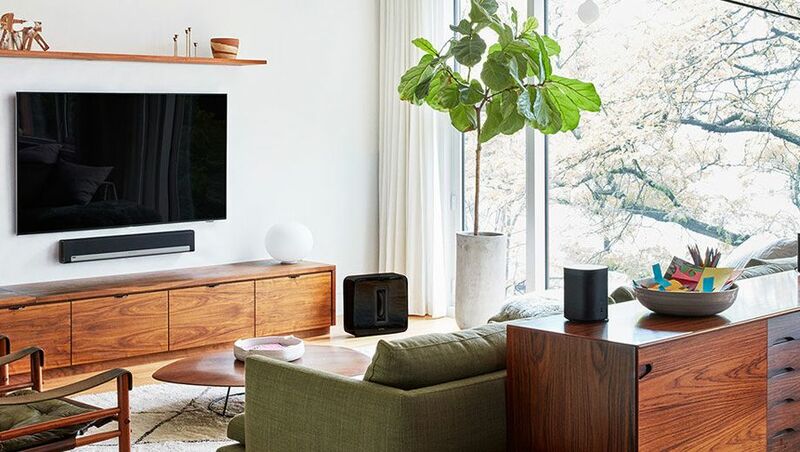 "Think about those other spaces and doing sound in different ways in the home, without being constrained by some of the traditional form factors," adds Sonos CEO Patrick Spence. "That's our big opportunity." While Ikea's Symfonisk systems is expected to hit a sub-Sonos price point, opening up a far larger slice of the market than Sonos can alone, there will also be clear demarcation between the Sonos and Ikea products. "We are approaching it in a different way, at different price points," Spence says. "It allows an opportunity for people to get a taste of the experience. If they want the full experience they will want to move up. Ikea products will be stepping stones that get you into the Sonos ecosystem and do it in an even more holistic way because you're still using the Sonos app." Sonos' Symfonisk range is due for international release starting August, although we probably won't see them reach Australia until at least year's end. Should have gone with Sonos ..... I love my Bose Soundtouch but they still don't support Apple Airplay despite so many promises. Comment on "Sonos, Ikea partner on new wireless smart speakers"